McCann New York has the most finalists this year with 41. Sixteen of their finalists are on behalf of client March for Our Lives, including nine for “Price On Our Lives” and seven for “The Most Vicious Cycle”. The agency also has 12 finalists spots for MGM Resorts International “Universal Love Songs” and eight for National Geographic work (five for “Astronaut Reality Helmet” and three for “Planet or Plastic”). Ogilvy Chicago is close behind with 40 One Show finalists, including 16 for nine different entries on behalf of Lyric Opera, and 15 for SC Johnson work (10 for Kiwi “First Steps” and five for Lysoform “Last Germ”). BBDO New York has 38 finalists, including 12 on behalf of AT&T (seven for “The Face of Distracted Driving”), seven for Monica Lewinsky/Anti-Bullying “#DefyTheName” and six for Mars Chocolate North America-Snickers work. 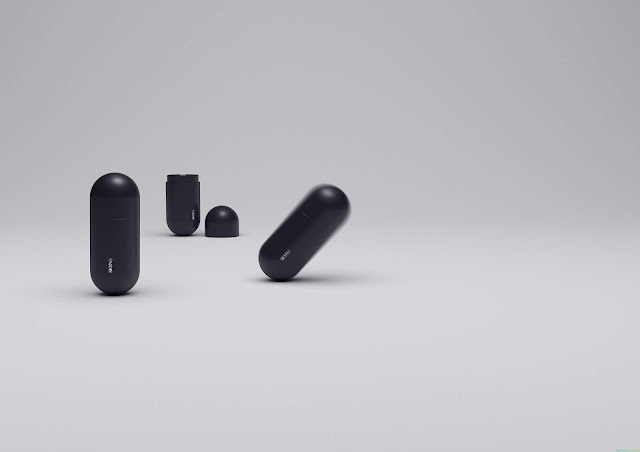 Thirty-four finalists go to Droga5 New York, including 16 for The New York Times (13 for “The Truth is Worth It” and three for “Read More. Learn More”). TBWA\Chiat\Day New York has 30 finalists, including 12 for Adidas (eight of them for “Billie Jean King Your Shoes”), nine for Columbia Journalism Review “The Fake News Stand” and four for Thomson Reuters “Unboxing the Truth”. 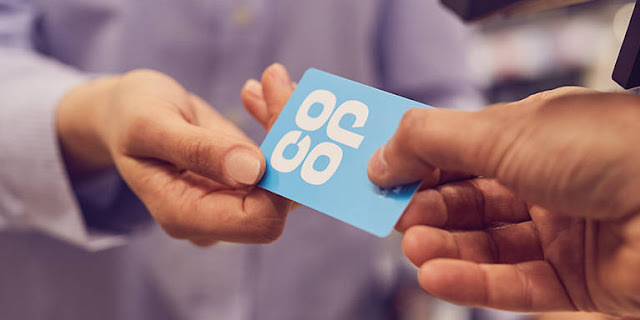 Other top agencies for One Show 2019 finalists are DDB Paris with 27, DDB Chicago with 25, Wieden+Kennedy Portland with 23, ServiceplanMunich with 22, TBWA\Media Arts Lab Los Angeles with 21 and Dentsu Tokyo with 20. The entry with the most finalists spots is “Broadway The Rainbow” for Mars Wrigley Confectionery by DDB Chicago with 25, followed by Burger King “The Whopper Detour” by FCB New York with 19. 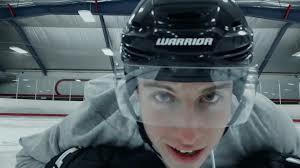 Tied for third with 17 finalists each are Nike “Dream Crazy” by Wieden+Kennedy Portland and McDonald’s “The Flip” by We Are Unlimited Chicago with The Marketing Store Chicago, DDB New York and DDB Canada Vancouver. One Show 2019 juries selected 1,558 finalists representing 40 countries. To download the complete list of The One Show 2019 finalists by discipline, please visit http://oneshow.org/downloads/results/2019OneShow_Finalists.pdf. This year’s winners will be announced at two nights of The One Show awards ceremonies on May 8, 6:00 pm-12:00 am at the Ziegfeld Ballroom, 141 West 54th St. and May 10, 6:00 pm-2:00 am at Cipriani, 55 Wall St., both in New York. The awards ceremonies are part of The One Club for Creativity’s Creative Week, May 6-10, 2019 in New York (https://www.creativeweek.org). The preeminent festival showcasing the intersection of advertising, innovation and creative thinking, Creative Week also includes the ADC 98th Annual Awards ceremony, the dynamic Young Ones Education Festival, inspiring sessions with some of the biggest names in the industry at the Creative Summit and the exclusive Executive Creative Summit, open to a limited number of top-level leaders (founders, CCOs, managing partners). In a reflection of the tremendous creative opportunities now possible in today’s outdoor ad market, The One Club for Creativity announced a partnership this year with OUTFRONT Media, Inc (NYSE: OUT), who serve as exclusive sponsor for The One Show 2019 Outdoor category. OUTFRONT Media is one of the largest out-of-home media companies in North America, connecting brands and consumers in the "real world" on giant creative canvases. Their focus on creative, through in-house creative boutique OUTFRONT Studios, has been recognized across the media industry. The One Club for Creativity (http://www.oneclub.org), producer of the prestigious One Show, ADC Annual Awards, Creative Week and Portfolio Night, is the world's foremost non-profit organization recognizing creative excellence in advertising and design. The ADC Annual Awards honors the best work across all disciplines, including Advertising, Interactive, Design and Motion. Creative Week takes place in New York City every May and is the preeminent festival celebrating the intersection of advertising and the arts. 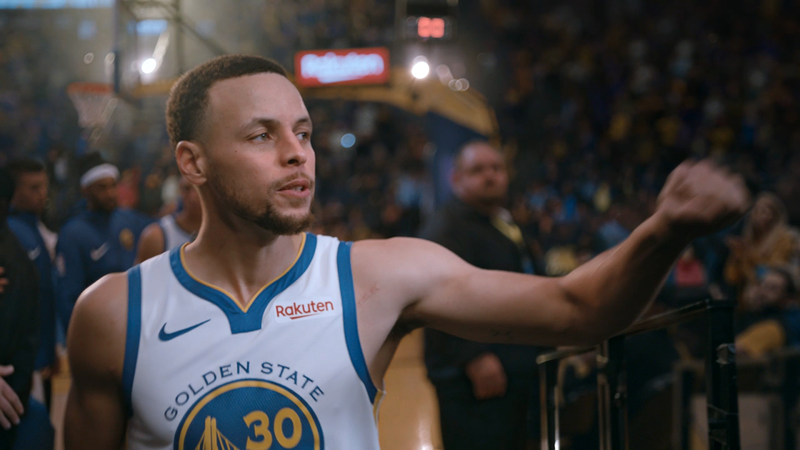 With the NBA playoffs around the corner, Rakuten is launching the brand’s first TV spot with three-time NBA champion Steph Curry since he signed a multi-year agreement as a Rakuten brand ambassador. Rakuten is doubling down on a major marketing investment to introduce its brand and online loyalty platform to consumers in the U.S. and Canada with the launch of two new TV spots in its national ‘Life to the Power of R’ campaign by Duncan Channon. The new spots tap into our national obsessions with the reigning champion Golden State Warriors -- and adorable pups -- to show how cash back from Rakuten on the purchases you’re already making can propel you towards experiences that matter. Moving In - places the viewer inside the world of a couple negotiating distinct opinions on how to decorate their new home. Friendly clashes over a basketball-themed rug and a recliner culminate in Rakuten cash back on home purchases that help the pair check out a live Golden State Warriors game together. Good Boy - brings the viewer home with a young man who discovers his new puppy playfully tearing up his apartment. The Rakuten cash back on purchases to help clean up fido’s collateral damage helps power him and his pup to puppy training school. The new TV spots will air nationally in the U.S. and Canada alongside Rakuten spots “Runner” and “RSVP” that launched during the 2019 Grammy Awards. The campaign increased aided awareness of Rakuten by 8 points during just the first 3 weeks on air, and daily search has quadrupled since launch. 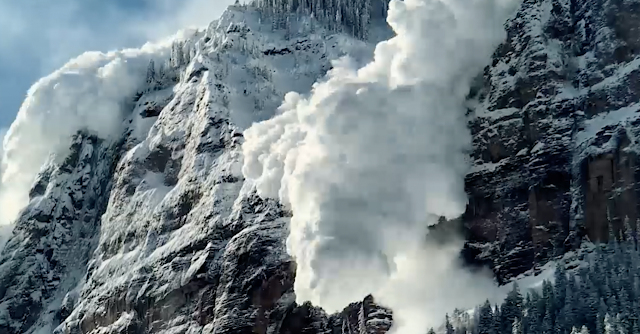 “Life to the Power of R” is the first campaign for Rakuten by Duncan Channon, which was selected as the creative lead for Rakuten’s North American launch in a review last fall. Plastic soup is contaminating our oceans. So much so that the European Union has just announced plans to introduce new laws on single-use plastic to reduce marine litter (27 March 2019). But, how many people have actually seen plastic soup? Not a lot. To date, our oceans have already been contaminated with 150 billion kilograms (165 million US tons) of plastic waste, and billions of kilos more are added every year*. However as long as the problem is out of sight, it’s out of mind. This is exactly why Dopper, producer of reusable water bottles with a mission, wants to create awareness and change behavior by bringing people eye to eye with plastic soup. The world’s very first Oceanic Plasticarium is literally bringing plastic soup to the people. The glass cube is a brand new museum piece, which contains 2,700 liters (713 gallons) of plastic soup, sampled directly from the Pacific Ocean, brought to the Institutes founded to educate people about the history of mankind and nature. Filling in a crucial – but missing - part of history. “People often see plastic waste as such an overpowering problem, that feels like it’s too big to do anything about. Our goal with this project is to change that. We are encouraging everyone to take ownership. Plastic soup is something we have created together, and we’re all part of both the problem and the solution. By altering our behavior, together we can make single-use plastics a thing of the past. Our aim is to banish plastic soup to the history books. 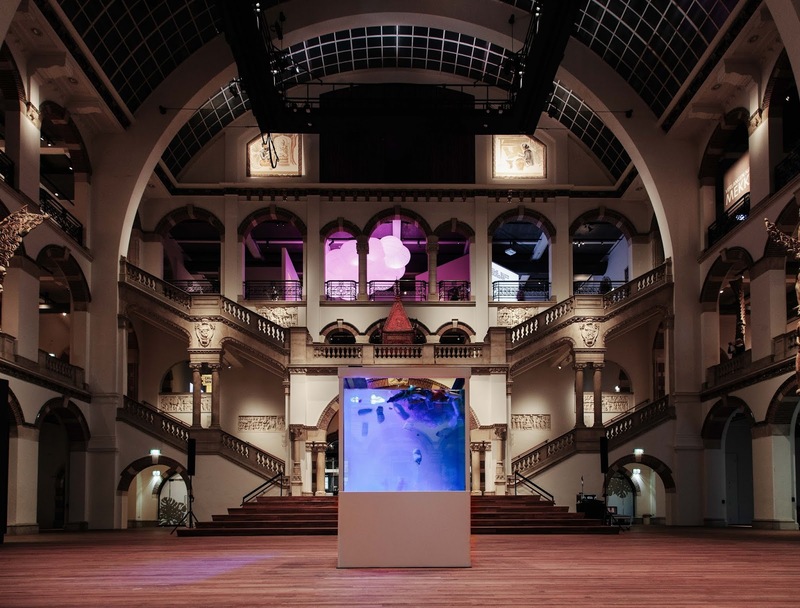 So that in the future, the only place you will ever be able to see it will be in museums like the Tropenmuseum,” says Merijn Everaarts, founder of Dopper and initiator of the Oceanic Plasticarium. This unique museum piece is both disturbing and thought provoking: allowing the public to get up close and personal to the heavily polluted water, with the aim to create awareness and a dialogue. 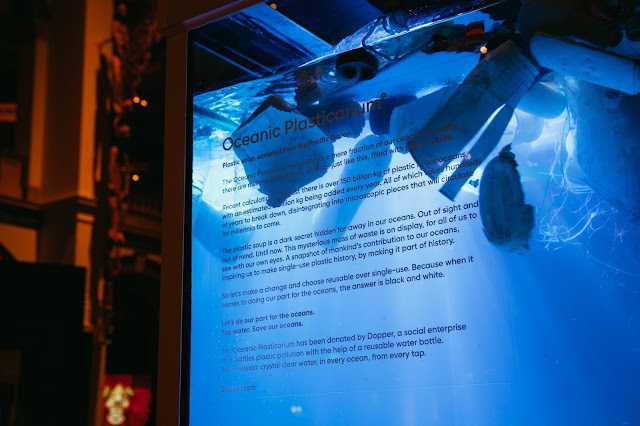 The Oceanic Plasticarium aims to empower people, so that they can take ownership of their part in changing the tide against plastic pollution. The idea is to spark a conversation about plastic waste, which will ultimately lead to actual lifestyle changes. The Tropenmuseum wasn’t randomly selected as the location for this unprecedented project. As a ‘museum of world cultures’, it is renowned for its unique collection and exhibitions that represent the riches of cultures far and wide. The plastic soup has been allocated a prominent, eye-catching location in the museum – right in the main hall and central point of the museum – and deservedly so. After all, this is one of the most defining events in our recent history: distressing, controversial, and man-made. But contrary to the rest of the museum collection, this plastic soup isn’t a treasure to be admired. Instead, the goal is to make it history, by making it a part of history. Putting it where it belongs: in a museum. The Oceanic Plasticarium is created by Dopper, a social enterprise and B-Corporation known for their reusable water bottles. At the same time they revealed the Oceanic Plasticarium, they launched a new water bottle: Dopper Black & White. With this bottle you claim your part for the clean ocean, by choosing reuse over single-use. Dopper’s mission has always been to work for clean water, in every ocean, from every tap. For this very reason the organization actively invests in reducing single-use plastics. 5% of Dopper’s net sales revenues are invested into supporting water projects worldwide, in countries like Nepal (together with Simavi). The more Dopper water bottles sold, the greater the impact. Additionally Dopper encourages the use of tap water as an affordable and environmentally friendly alternative to bottled water. On average, every Dopper consumer protects our oceans from 40 single-use water bottles a year. This amounts to a total reduction of 40.763.203 kilograms (89867479 lbs.) of single-use plastic so far, that otherwise could have ended up in the environment (source: independent research by Avance, Dopper annual report). Nowadays, tap water in most western countries is kept to extremely high standards, making it perfectly suitable for drinking. All the more reason to make the switch from bottled water to tap water today. 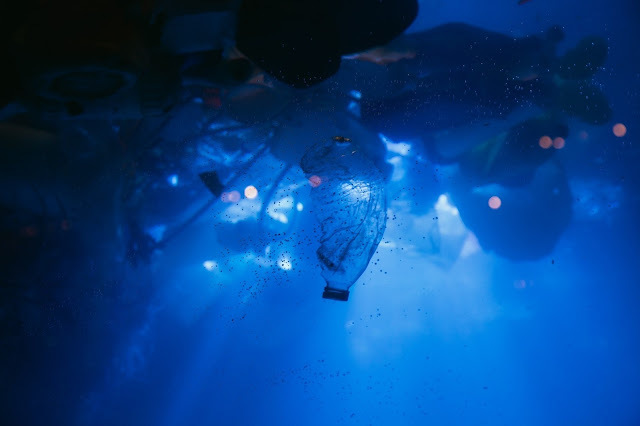 The plastic in the Oceanic Plasticarium was sourced from the Pacific Ocean by Greenpeace in 2018. The container measures 140 x 140 x 140 cm (55 x 55 x 55 inches) and holds 2,700 liters (713 gallons) of water. The coordinates 135°W 35°N refer to an area in the north central Pacific Ocean. The Oceanic Plasticarium will be on display in Amsterdam for April, after which the installation will start an international tour. Let's do our part for the Oceans. Tap water. Save our oceans. This Dopper project was realized and executed together with Dopper's in house (creative) team in collaboration with Het Tropenmuseum. The launch of the Oceanic Plasticarium coincides with the introduction of the brand new Dopper Insulated Black & White. A bottle that sends a strong message: we need to make a change if we are going to turn the tide on plastic pollution. Claim your part in the oceans and keep it sparkly clean with a sustainably designed, reusable bottle, that keeps your water icy cold for up to 24 hours or piping hot for up to 9 hours. A limited edition is available, featuring unique coordinates on the cup. These coordinates refer to your own section of clean ocean – the exact place you have personally helped protect against single-use plastic pollution. Because when it comes to doing our part, the answer is black and white: drink tap water and save our oceans. Click here for more information about Dopper and its mission. It's always fun to have a passion project that you enjoy working on, but what happens when you've decided to take it a step further? Many amazing businesses started off as beloved passion projects. Take a look at musicians, fashion designers and artists. They've made a living selling products they're passionate about. Your passion doesn't have to be music, fashion or art. You might love building websites, creating jewelry or cooking delicious vegan food. Whatever your passion is, know that you can turn it into a full-fledged business. Besides, the world needs a lot more people who come alive when it's time to go to work. As you transition your passion project into a business, you'll want to proceed with caution and care. If you don't properly manage your resources, you run the risk of developing a business that you hate and project you're no longer passionate about. In order to avoid that travesty, implement a few steps within your transitional process. Get clear about what your business model is. If you're going to be providing meal prep services or selling graphic t-shirts with unique designs, get clear on what you're providing. Do your research to figure out how you'll want to make sure your products and services get to the masses. It's good to take a look at who you'd like your customer base to be. If you plan to ship overseas or take local clients only, it's up to you. It's wise to define your expectations from the beginning. It's okay if you decide that your capacity changes. As your business grows and you're able to handle more, you can open up more opportunities. However, it's wise to be clear about your model before opening up your business to the world. Naming your business might one of the hardest decisions you'll have to make in the beginning. If it's a decision you don't want to make, you can always use a name generator in order to get some options. Pick a name that communicates what your business does in a succinct and professional manner. Hire a graphic designer to design your logo, business signage and more. As you build your website, social media presence and business cars, your branding needs to be consistent. The fonts need to be consistent as well as the language. A customer should be able to look at your branding and know that it's your company. Between social media marketing, video marketing and email marketing, you can make a major impact in developing your digital footprint. When you're getting started, choose one social media platform and master it. As you elevate to mastery, you can branch out to other platforms to make an impact. Develop a strong YouTube presence by creating compelling videos with great sound and lighting. When people are able to connect a face to the company, this makes it easier to connect with the idea of supporting the brand. Furthermore, video marketing is an effective way to make more sales when you're actively providing content and value to the viewers. Make sure your content is directly related to your business. If you're transitioning into a full-time musician, do various covers of popular songs. This provides entertaining value and elevates your visibility. No man is an island. This is why you shouldn't try to run the show by yourself. Whether you're an organic farmer or a ceramicist, develop a team. If you've developed a unique process, hire people who are willing to sign non-disclosure agreements. This protects your brand and allows you to freely train and develop the talent who will help you grow your business. Customer service is one of the most important departments of any company. If you hire a customer service agent who doesn't like people, you're doing yourself a great disservice. Don't underestimate the power of excellent customer service. The right customer service agent can transform a disgruntled customer into a loyal fan. If you don't have the financial margin to offer salaries, hire people for contract work at first. Get freelancers who are willing to grow with the company. Make sure you include an accountant and an attorney on your team. You definitely want to make sure your finances and legal matters are protected. Once you've been selling products and services to your customers, take a look at what's working. Consider what your hot items are. Get feedback from customers to find out which items they liked the most. Develop a partnership with a mentor or business advisor who can show you where you can afford to improve. As you gain more clarity regarding what needs improvement, make the necessary changes. As you keep a pulse on what your customers want, you can deliver the goods, increase your sales and continue to develop as an excellent business.